When a bird sings, it's telling you what it is and where it is. Photo by Larry Keller via Birdshare. You can only see straight ahead, but you can hear in all directions at once. 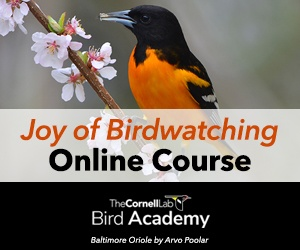 Learning bird songs is a great way to identify birds hidden by dense foliage, faraway birds, birds at night, and birds that look identical to each other. In fact, when biologists count birds in the field, the great majority of species are heard rather than seen. Learning calls and songs helps you in two ways: First, you can do a quick survey of what’s around before you’re even out of the parking lot. And second, when you hear something you don’t recognize, you know where to put your attention. Owls and nightjars are obvious examples of the usefulness of hearing in identification. Another great example are the dozen or so confusing flycatchers in the Empidonax group. These birds look so similar they’re sometimes impossible to identify even in the hands of a bird bander with a precise set of measurement calipers. But all that uncertainty vanishes as soon as they open their mouths. When you see a bird singing, the connection between bird and song tends to stick in your mind. It’s much harder to learn bird songs from scratch than to have a fellow bird watcher point them out to you. Check for a nearby bird club or Audubon chapter and join a field trip. Start by listening to recordings of birds you see often. Play them often to make the sounds stick. 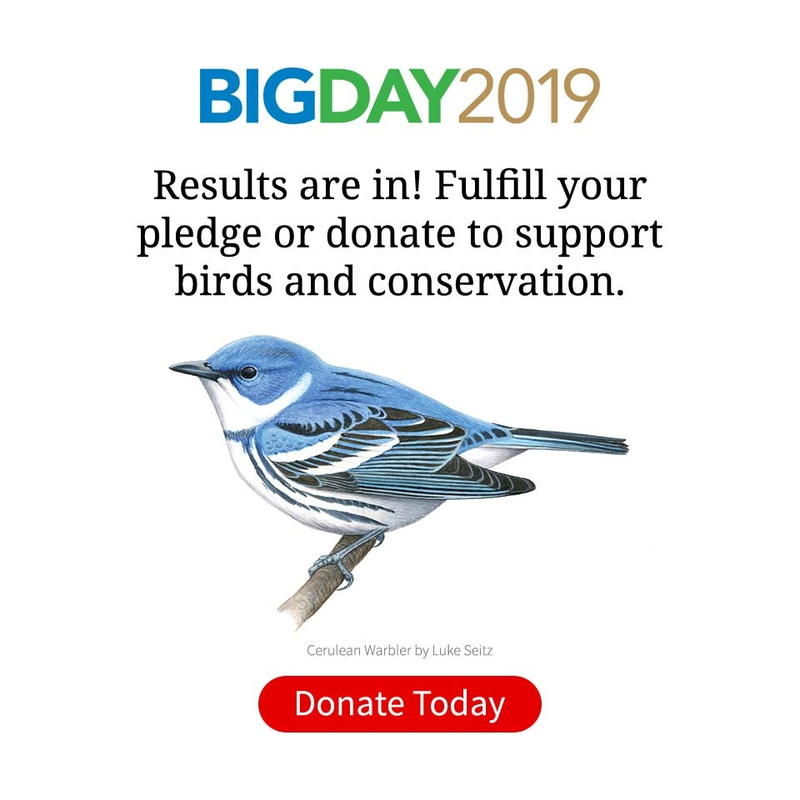 Our online bird guide has more than 600 sounds you can listen to, with thousands more available in a searchable format at the Cornell Lab of Ornithology’s Macaulay Library. You can also purchase regional audio guides produced by the Macaulay Library. Some songs almost sound like words – who can mistake the Barred Owl’s “Who cooks for you all?” Mnemonics can make a song a snap to remember. Break the song apart into its different qualities, including rhythm, pitch, tone, and repetition. As you listen to the birds around you and study the recordings, try placing the songs in different categories as shown below. When you first listen to a dawn chorus in full swing, the sheer onslaught of bird song can be overwhelming. How does anyone start to pick apart the chirps, whistles, and trills that are echoing out of the woods? The answer, of course, is to concentrate on one bird at a time – and that approach holds true when you’re trying to learn individual songs, too. Get used to a bird’s characteristic tempo. Marsh Wrens sing in a hurry, while White-throated Sparrows are much more leisurely. Most birds sing in a characteristic range, with smaller birds (like the Cedar Waxwing) typically having higher voices and larger birds (like the Common Raven) usually having deeper voices. Many bird songs change pitch, as in the Prairie Warbler’s rising, buzzy song or the Canyon Wren’s sweet descending whistles. Some birds are distinctive for having steady voices, like the Chipping Sparrow’s trill. Some birds characteristically repeat syllables or phrases before moving on to a new sound. Northern Mockingbirds do this many times in a row. Though Brown Thrashers sound similar, they typically repeat only twice before changing to a new syllable. Ever wish you could “see” a sound so you could study its details? Spectrograms allow you to do just that. They’re simple graphs that show you the frequency, or pitch, of a sound, its loudness, and how these change over the course of the sound. With a little practice, they can reveal much more about a sound than your ears could ever detect on their own. 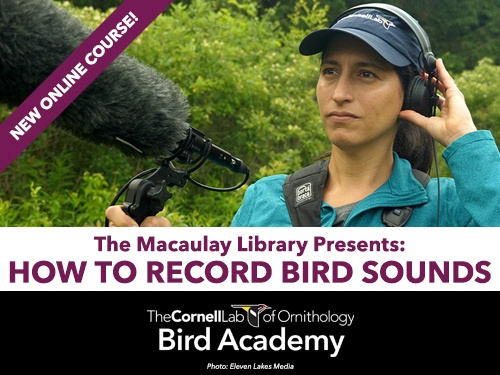 All About Bird Biology has many activities to help you learn bird song. Start with this Bird Song Hero tutorial. With a little practice, you can read the sounds almost like you might read a sheet of music. The higher the marks on the graph, the higher the pitch of the sound. The brightness of the marks indicate how loud the sound is at that moment. As you move from left to right on the graph you move farther along in the bird’s song. Next, click over to Bird Song Hero to try out your new skills with other bird songs. It’s a great way to start visualizing what you’re hearing—which will help you learn who’s singing.